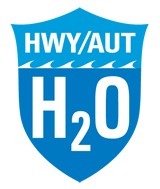 World economies may be beleaguered by uncertainties, but the news and new ideas emanating from this year’s Highway H2O Conference held in Toronto offered reasons for optimism. Particularly for marine transportation. Although Canadian output growth has slowed, it masks the above-trend performances in the resource-rich regions where massive developments are underpinning comparatively stronger job and wage gains, retail spending, housing market conditions, and publicly-funded infrastructure improvements. Even in central Canada where export-sensitive manufacturers are continuing to be squeezed, ongoing gains in the large service sectors are providing a platform for jobs and spending. Bruce Hodgson told delegate that while 2012 presented a mixture of challenges and opportunities, there are some positive signs. North American commodities for the industrial and manufacturing sectors drove an uptick in tonnage numbers along the Great Lakes-Seaway System. The St. Lawrence Seaway reported an almost 10 per cent increase for total cargo shipments in October – 4.4 million tonnes – compared to October 2011. For the period March 22 to October 31, year-to-date total cargo shipments were nearly 30 million metric tons, a rise of 1.4 per cent over the same period in 2011. “We see continuing improvement and a drive to modernize our facilities for additional cargo handling,” stated SLSMC’s Director of Market Development. A thought-provoking and intensive two-day edition, this year’s Highway H2O event was themed “System Diversification: Unlocking New Growth.” Attendees, among whom were leaders in the public and private sectors representing governments, enterprise, and included the movers and shakers of marine transportation, heard and learned about some of the latest technological advancements in vessel service opportunities and operational development. Representing Netherlands-based Aerolift Industrials, a world leader in the production of vacuum handling and lifting devices, Robert Lemm showed the capabilities of his company’s newest vessel loading machines to delegates. “Basically a vacuum lifting device contains 3 basic elements. A vacuum pump, a vacuum buffer tank and one or more suction pads,” he explained. Suction pads have a surface under which the device creates a vacuum. Due to atmospheric pressure, the suction pad and the load are pressed together. A suction pad with a suction surface of one square metre can lift a load of 4,000 kilogrammes (8,800 pounds). To load a ship’s cargo hold, Aerolift has designed two systems: the Aerolift ALS30/15/15, which Lemm estimates achieves a 50 per cent reduction in loading time; and the HLS15/9 (hook loading system), capable of a 30 per cent cut in loading time. Aerolift’s systems operate on a C-frame which enables loading under the ship’s deck. Because of its shape, this device is able to reach almost 9m under deck with a maximum load of 15 tonnes. The device is equipped with two rotators, one rotator just below the cranes hook and one rotator between the C-frame and the load. These rotators can work synchronically and enable the C-frame to rotate independent from the crane and independent from the load. Positioning the load is flexible and the device’s reach of this device is optimized. On the Seaway itself, Jim (Demetrios) Athanasiou, General Manager of business improvement for SLSMC, detailed how his organization is banking on hi-tech to boost safety, improve productivity, and gain increased efficiencies. He highlighted the Hands Free Mooring currently being tested at Lock 7 (the Welland Canal in Niagara region) of the Seaway system. “Customers are asked by lock personnel if they want to use Hands Free Mooring or traditional tie-up with wires, prior to their transit through lock 7. We encourage customers to use Hands Free Mooring, as we are continuously improving the system by making modifications towards optimal reliability and repeatability,” he emphasized. SLSMC has also installed Vessel Self-Spotting Systems (VSS) in each of its 14 deep locks. The system controls are based on National Instruments PXI hardware and Labview software. It’s designed to provide 3D imaging of the vessel’s position in the lock. The most forward part of the bow is tracked to within 0.5 metre, to its final mooring position. A large 3-digit LED display, located at each end of the lock, relays the information to the vessel crew. VHF radio messages are also transmitted at certain key position intervals. VSS is expected to enhance the positioning of the vessel by providing ongoing, real time measurement of its position. At the same time, it will reduce the lock-operation cycle time by having all lock personnel available for mooring operations earlier in the process. It will also set the stage for potential further automation of the lock-operation process.